Latin? Hip-Hop? House? You decide the vibe! 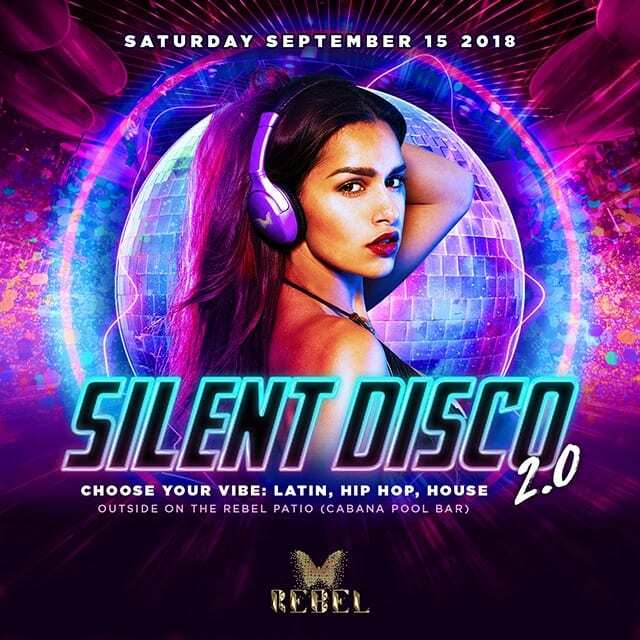 Come join us September 25th for Silent Disco and dance the night away listening to one of our 3 different DJ music channels on a pair of wireless headphones outside on Rebel’s patio.